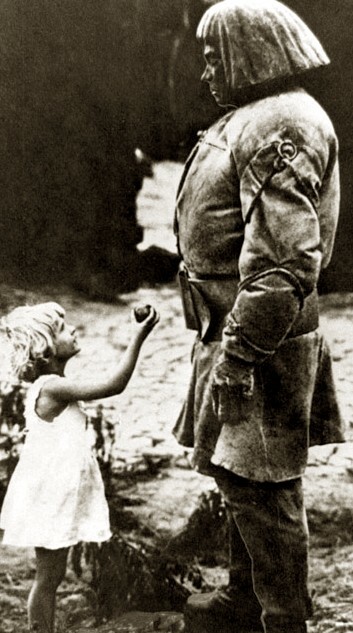 There is another important point to note with regard to this story of the golem. Rav Yaakov Emden, citing Chessed L'Avraham, deduces from Rabbi Zeira's destruction of the golem that it is permissible to kill it, and explains that this must be because it only has an animal soul, but not a human soul. Note that this post still did not argue that according to Ramban, someone who is brain-dead has lost his rational soul. We will discuss that possibility in a forthcoming post. But it does seem clear that according to Ramban, it is theoretically possible to have a person who is just as alive as an animal, and yet is lacking a rational soul, and whom it is therefore halachically permissible to "kill," since he is not humanly alive. In other news - for details of my forthcoming lectures at the Bridge Shul in Washington Heights on Feb. 13th, see this flyer. I don't understand how the Golem story is a proof for either side. It just shows he was made with an animal soul, not a human soul (which includes the ability to speak, reminiscent of Onkelos, come to think of it). Plato thinks that animals have souls, does he not? And plants? Yet he still subscribes to a "unified soul" philosophy. Isn't this a dangerous game? Why stop at inert bodies hooked to a machine? Some guy already linked this medieval idea to people you see on the subway. Doesn't Chazal explain that the reason why (it appeared) that all humans were created from one man is to show the brotherhood of man? Now we're opening the door to the possibility that some people are really just animals with clothes (or not, as the case may be)? Again, the Ramban is speaking strictly from the point of view of Bereshis. Golem, just like Adam at one point(so claims the Ramban),was not a complete human being. Both were created from clay and both were not full humans before. You would surely agree that the Ramban most likely knew many many individuals with limited mental capacity (deaf-mute, retarded etc.). Why would be bring an example of an ancient mystical creature? Does a newborn baby have a "rational soul"? Can you bring one source claiming a man can lose his soul while still alive? Again, the Ramban is speaking strictly from the point of view of Bereshis. Golem, just like Adam at one point(so claims the Ramban),was not a complete human being. Both were created from clay and both were not full humans before. No downgrading here. Again, you have to prove that that is relevant. A person certainly downgrades when they have a fatal heart attack. If you want to argue that the downgrading can't proceed in stages, then you have to prove it - since we see that the upgrading can proceed in stages, and that there can be people (golems) stuck at one stage. You would surely agree that the Ramban most likely knew many many individuals with limited mental capacity (deaf-mute, retarded etc.). But please explain why. Why not any other group lacking the capacity of rational thinking? If not every Homo Sapiens has a human soul, what is the difference between a caveman and someone with IQ 30? RNS "Limited - not zero." Not more than Nim Chimpsky. Remember, we are not comparing humans and cows, but humans and other members of the Hominidae family. Ongoing research into intelligence, learning skills, behavior (use of tools, "public welfare" etc) and communication among Great Apes shows that we have to be very careful how to define the distinction between "animals" and "humans". Of course we're going to have to draw the line somewhere. And that will be tricky - especially if we ever clone prehistoric humans! Nevertheless, some creatures are clearly on the non-human side of the line. I'll be discussing this more in a future post. Ramban appears to hold "potential" pretty strongly. Doesn't he follow the Behag in permitting the violation of Shabbat to save an unborn child, even before 40 days gestation? ledge of which ones aren't viable mostly isn't possible, at least now) and end in a first trimester miscarriage? ...some people are really just animals with clothes. This is not a precise comparison. There is no tumat ohel by an animal but there is even if the person had no rational soul before death. Also, there is no tumah until death even in the absence of the rational soul, is there? Or are you saying that to Ramban the rational soul is a material phenomenon and is qualitatively unrelated to immaterial things such tumah, kedushah and what today we call "soul"? There is no tumat ohel by an animal but there is even if the person had no rational soul before death. Also, there is no tumah until death even in the absence of the rational soul, is there? Nobody has ever discussed the case, to my knowledge! I am surprised that you are learning halacha from agaddah. You are also taking the golem literally? I would have thought that both are unacceptable to a rationalist. Rav Yaakov Emden is discussing it l'halachah. And it doesn't make a difference whether one believes in golems - the point is the halachic discussion of them. Are you also saying that it has practical value? We can learn halacha lemaase from this discussion? Exactly. Because Ramban deduces that there can be a Homo sapiens without a nefesh hamaskeles, and Rav Yaakov Emden deduces, lehalachah, that such a person may be killed. OMG! I am speechless and in a state of total shock! Aren't their words pure speculation? You can mefalpel to your hearts content but to learn halacha lemmase from an agaddic character such as golem is absurd? No? I want to cry now. Calm down. Rav Emden learns it l'halachah. And this case (IF we can establish that a brain-dead person lacks a nefesh hamaskeles) is much less extreme. It's no different from learning medical halachah from the dirt-mouse, which is done. To which your response was Only dead people! When you write that dead people are animals without clothes, that is not true in all particulars -- at least according to halacha. Thank you for your comment. You have yet to complete your discussion of Ramban, but I was equating brain death and loss of the rational soul. My point was that there are certain implications to the status "animal." If you assert that Ramban understood the soul or aspects thereof to be a material sine qua non of humanity, rather than a spiritual one, I don't think I am alone in being interested in your proof of that. If, on the other hand, the soul or critical aspects thereof (e.g., "rational soul") is understood to be non-material, spiritual, whatever, then we have halacha that pertains to that, from which we may be able to discern how humanity or lack thereof was understood by a particular authority. •What is meant by "soul" or its various subdivisions? •How do we reliably evaluate failure to acquire some aspect of "soul," or the loss thereof? •How do we reliably correlate states of failure to acquire or loss of soul, etc. with identifiable physiological states? This is a sugya called אבר המדולדל in the 9th chapter of Chullin and 3rd perek of Krisus. Chazal determined to which degree of severance will a limb emit tumah. I intuitively equate the emission of tumah to be a sign of departure of the soul and therefore death. RNS: "Incidentally, personally I don't think that we need to resort to this in order to rule that brain-death is death. But many people want to see such a ruling more firmly rooted in traditional sources, so I am providing such a basis." Sooo, you really believe that there is even one person out there who until now wasn't convinced by all the halachic and logical arguments, but now that he sees all this Ramban-inspired acrobatics he will change his opinion? YoelB - your questions are exactly what I plan to address in future posts. The difference in hilchot tumah isn't indicative, as tumah is arbitrary and does not necessarily have causal or correlative relationship with its source (to paraphrase the gemara: the body isn't metamaih, tumah is a decree from Hashem). If I understand RNS' intent, he wants to show that in a case where there a being has no potential for having the characteristics of a "human soul" the Ramban apparently would say that there is no humanity in that being. In the case of a person with a low-functioning brain, that person may be treated as a person with a normally functioning brain for halachic or logical reasons. In the case of a non-functioning brain, these reasons would no longer be relevant and the person would be treated as is: lacking "human" soul. If we don't think that a golem existed in a literal sense, then halachik discussion that treats him as a physical reality is out of place. There is nothing we can learn lemaaseh. Look, in those days people believed in all sorts of stuff like mermaids, werewolf, histriga etc. I don't have a problem to take these things in their historical context. But in the 21st century to learn halacha lemaseh from a one time story of the golem is absurd because it is irrational, illogical and unscientific. It makes us, the Jews, look stupid and primitive. To pasken issues of life and death from a maaseh of a golem when nobody has any idea what it really is - is plain crazy. Am I the only one who thinks so? This type of 'learning' is alive and well in the chareidi circles but I think it plain and simple wrong and false. I read in a sefer with Rav Kanievski's piskei halacah a shaila posed to him if someone who made a Golem with Sefer Yitzira can eat the Golem? He answered that it is not pashut. Even if that's what rambam meant, it certainly doesn't apply at the end of life! Once a human is born, he doesn't die until he's dead. Even by the secular standards, the brain stem must cease functioning, everyone (since 1945) recongnizes that severely mentally incapitated are alive and cannot be killed. Unless proven otherwise, I would maintain that identity is determined by birth. Even if you were to imbue an animal, born an animal, with intelligence and free will, it would still be an animal, and even if you take away a human's intelligence and free will, it is still a human. Unless proven otherwise, I would maintain that identity is determined by birth. Not only does that not make any sense to me, but I'm certain that Ramban would disagree. After all, with Adam and with a golem, they go through stages. And at what point do you assume were Adam and the Golem "born"? Sure it's possible to HAVE such a person (or situation) but how is it possible to MAKE one? I find it difficult to take such a story (as the one you cited) seriously. Maybe one of the saboraim simply added a fable to the gemara about his rebbes rebbes rebbe. (Etc). Call me crazy, but I really don't see how claims about making golems can be taken seriously or used to define the soul and/or life itself. Adam was born as an animal when his body was made, and he was born as a human when the nefesh hamaskeles was inserted. The golem is born as an animal when its body is made. I really don't see how claims about making golems can be taken seriously or used to define the soul and/or life itself. The point is the value judgment that the Ramban made on the life of a golem. It's like cases in law that are known to be fictitious, but which are nevertheless used to derive legal principles. "Only afterward, when he was already a walking humanoid, did he receive the divine spirit (of the rational soul)." The quotation above is from your post, but can you please show that the Ramban actually held this view? He doesn't seem to say at all that the creation of Adam was in temporally subsequent stages. A straightforward reading of the Ramban demonstrates, I think, that Hashem created Adam with different components in one fell swoop, "simultaneously." Without a proof that the Ramban actually held what you claimed he did, it seems to me that your argument is kind of speculative. Thanks for thinking about this. So how does this disprove my theory that identity depends on birth? It strengthens it. In order for Adam's identity to change, he had to be reborn as a human, and the Golem never graduated its birth status as a non-human. "The golem is born as an animal when its body is made." 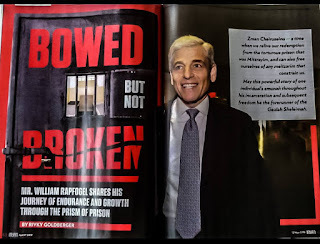 George - Ramban is explicit that it happened sequentially. See his comments to Bereishis 1:26. Akiva - I didn't mean "born" in that sense. He became human when he got his rational soul. I.e. his status changed! Shimon S - I discuss the halachic status of dirt-mice too, and the halachic ramifications thereof! By the way - I'm assuming that anyone who does not believe in golems already accepts brain-death as death. The golem discussion is for those who do not accept brain death as death. How do you know that his animal stage was not "gestation"? Have you studied the commentary of Ramban? there's nothing to indicate what you're saying. RNS "I discuss the halachic status of dirt-mice too, and the halachic ramifications thereof!" And it seemed to me you are (were) pretty critical about such halachic arguments, especially those not based on Chazal. So now you are saying it is a fair game to use for argument anything any Rishon or Acharon said? Including Kabbala and esoteric matters? Thanks so much for your quick response to my question. I really appreciate it! I looked through the Ramban on Bereishis 1:26, and could not find anywhere that he says (or even suggests) that "only afterward, when he was already a walking humanoid, did he receive the divine spirit (of the rational soul)." It seems to me that the only thing he says on this topic is "the land should bring forth the body from its elements as it did regarding the animal and the beast, as it is written "And God formed the man dirt from the ground," and He, blessed be He, gave ruach from above, as it is written "And He breathed in his nose the soul of life." I don't see where he says that Hashem gave a soul to an already walking hominid. Did I miss something? Is there another passage in the Ramban that you were referring to? Again, thanks for considering the question. And it seemed to me you are (were) pretty critical about such halachic arguments, especially those not based on Chazal. Not at all! I don't believe that a dirt-mouse exists, but the halachic value-judgments that Chazal made about such a creature are extremely relevant. Facts and values are two different things. 1) There is nothing to counterindicate it. You have to prove it. The possibilities of consecutive births or a gestational period prior to his final formation are both cogent and valid. Oh, OK - I see - it's later in the Ramban. I think you have a better proof for your understanding of the Ramban from his comments on 2:7. Just a suggestion. The possibilities of consecutive births or a gestational period prior to his final formation are both cogent and valid. I find this unreasonable to the extreme. I don't even know what you're getting at. If you want to claim that Adam had consecutive births, you can just as easily claim that a brain-dead person has died consecutive deaths. If you want to claim that Adam had consecutive births, you can just as easily claim that a brain-dead person has died consecutive deaths. I agree that this is less likely than a "gestation" period for Adam, but it can't be ruled out. There is no precedent nor antecedent that we can extrapolate from Adam's formation to. I would contend that all stages of Adam's formation were leading to his "birth" as a human, and thus a human's (or animal's) identity is determined by birth, and there is no indication that he can lose it subsequently. But those are "real" hypothetical/fictitious cases. As in, if this really happened (if it were even possible) what is the ruling? And then we have opinions given about what the ruling would be. On the contrary, Here, if we assume that so-and-so really did not make a golem, and so-and-so didn't really kill a created golem, it comes out quite differently than your standard hypothetical question posed by the gemara. We are never offered a ruling because this whole event reported as a story, not a psak, never happened. And rabbi so and so likely never gave his opinion on it. And yes in fact I do think that brain death is death, and I also happen to agree with your interpretation of ramban on creation of man. Seforno also has an "evolutionary" account of man's creation (in stages :)) but I assume you already know this and probably cited it in your book(s). I realize now that you are appealing to the avowed mystics/nonrationalists with this golem discussion and not people like me. Why was Rav Zeira allowed to kill the Golem if it had the status of an animal? I am not allowed to go hunting and kill animals just for the heck of it. Only if I am going to eat an animal am I allowed to kill it, or if pikuach nefesh is involved. So I don't see how this Gemara can be relevant to the discussion, it makes no sense in a practical halacha type of way.